BGQ project selected for a 10-concert tour in 2013! 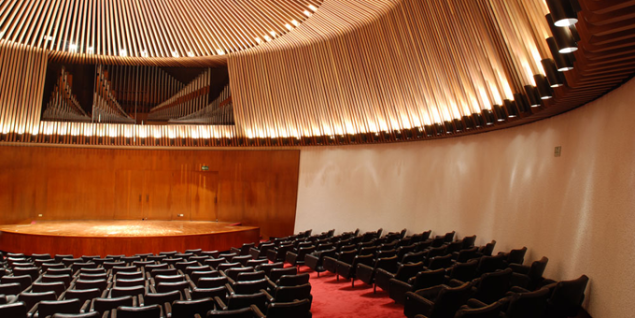 A project written by Roda Produções Artísticas and the Brazilian Guitar Quartet has just been selected to perform a 10-concert tour in São Paulo state, Brazil, during 2013. The tour, sponsored by SESI, a non-profit organization that operates throughout the country contributing to the social well-being of the industrial workers, will celebrate the 2011 Latin Grammy award, featuring an all Villa-Lobos program. Brazilian Guitar Quartet Wins Latin GRAMMY! For those of you who didn’t catch our euphoric announcements late yesterday on Twitter and Facebook, Delos is tickled pink (HOT pink!) 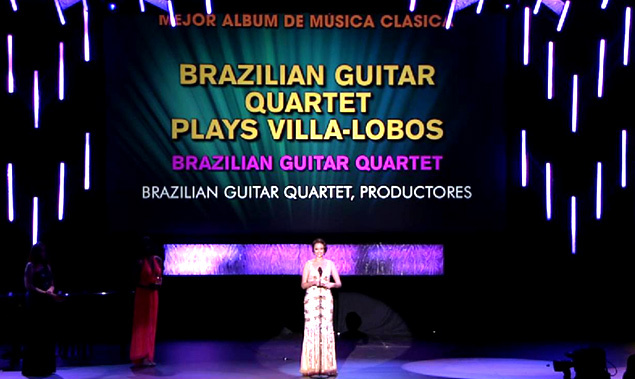 to inform you that our very own Brazilian Guitar Quartet has just won the 2011 Latin GRAMMY award for Best Classical Album with their “Brazilian Guitar Quartet plays Villa-Lobos” release. Watch for another Delos Insider post in the near future, with more detailed commentary, an artist interview, and a special download deal from iTunes!